College is a place where safety and security is a major priority for campus police, local police, university administrations, politicians, and parents. When students choose a university, security and safety is definitely something that could make or break a decision. Bloomsburg University’s low crime rate is the reason many opt to make it his or her school of choice. According to CityRating.com, there is an overall downward trend in crimes reported in this small town. “Based on this trend, the crime rate in Bloomsburg Town for 2012 is expected to be lower than in 2009. The city violent crime rate for Bloomsburg Town in 2009 was lower than the national violent crime rate average by 54.59%.” One can say that this is an extremely safe place to be. This semester seems to be a little different; students are starting to realize that there is a trend going on with burglaries and even a few strong arm robberies. Jasmine Brown, Bloomsburg junior said “Coming from Philadelphia, this has to be the most secure place on earth but this semester has me on my toes because it seems like every other day I get a text from Bloomsburg reporting a burglary.” Students are beginning to worry about the late nights and the weekends and going places by themselves. For many, going places by themselves was never a worry. Campus and local police have been doing their best to make sure students are safe at all times. Local Bloomsburg police officer Roger VanLoan said “I think a lot of it has to do with student’s failure to provide their own security. 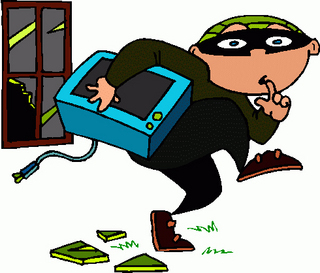 Most of the thief’s that we’ve investigated where property has been moved from houses or apartments or rooms have been because they’ve held large parties, allowed people to roam freely through their house, or they haven’t locked their room doors. ” He also said, “Nearly all of them have some type of security issue that if the student had been more aware, the burglary may not have occurred in the first place.” Students have to make sure that they also look out for their own safety and make sure they don’t put themselves in dangerous situations. “Universities in the city would probably look at us as if we were overreacting because at the end of the day it was only a few crimes but that goes to show you how crime free Bloomsburg really is” say Kelly. In reality Bloomsburg is still an extremely safe place to be. “I think that the few burglary crimes that transpired this semester just opened a lot of people’s eyes. It showed us that although we live in a safe community, we still have to be smart and look out for ourselves too. Bloom is going to make sure we are safe but we have to make sure everyone around us is safe also.” says Brown. Bloomsburg could never be looked at as a place where there is a dramatic increase in crime and violence. Even the safest places have outliers of people that can draw negative attention to a good place. Everyone that is in charge of the safety of Bloomsburg residents make sure they do just that. Students have to realize that they are also responsible for the environment they live in. VanLoan stated, “As far as student safety as a whole at Bloomsburg, it still remains a safe community as far as crime goes.” Bloomsburg University is still a guaranteed safe place to be and a wonderful place to learn.